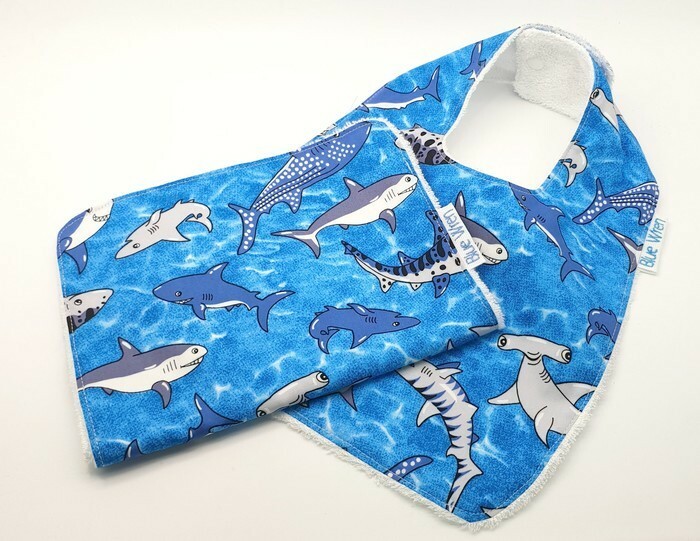 This adorable baby bib and burp cloth set is made from cotton poplin fabric, and is backed with white absorbent bamboo toweling, and is just so soft. 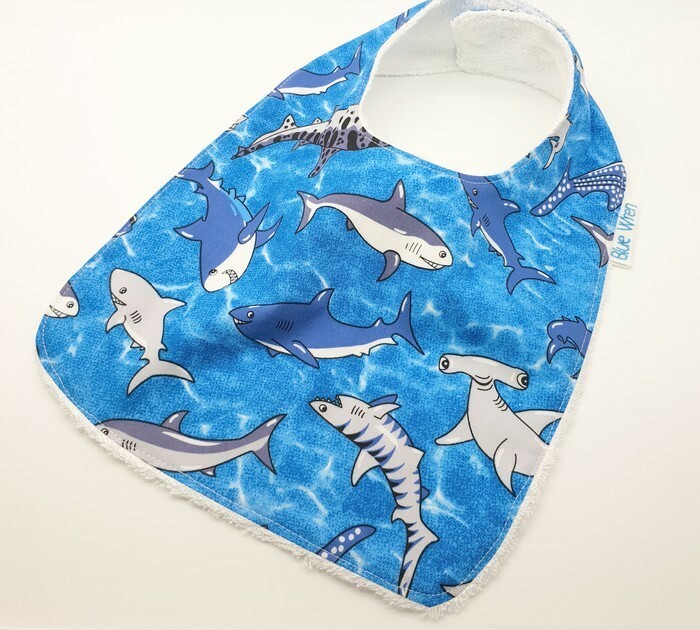 Buying the bib and burp cloth as a set will save you $3.00. 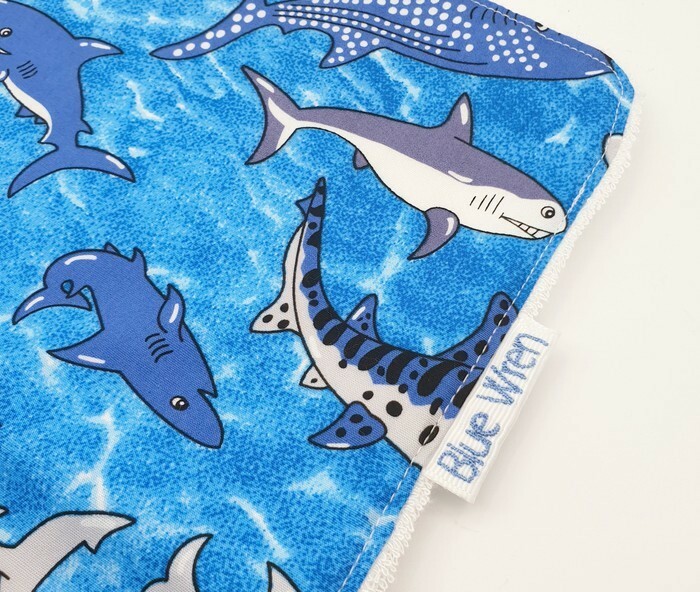 If you would like a set of bib and burp cloth in another of my beautiful bib fabrics, please contact me and I can let you know if I have enough of that fabric available to make you a set. The bib measures approximately 19cm (7.5 inches) wide, and 16cm (6.5 inches) from under the chin, to the bottom of the bib, and is perfect for babies and toddlers for feeding and dribble spills. Fastened with 4 durable resin snap fasteners, for adjustment and therefore designed for longer use. 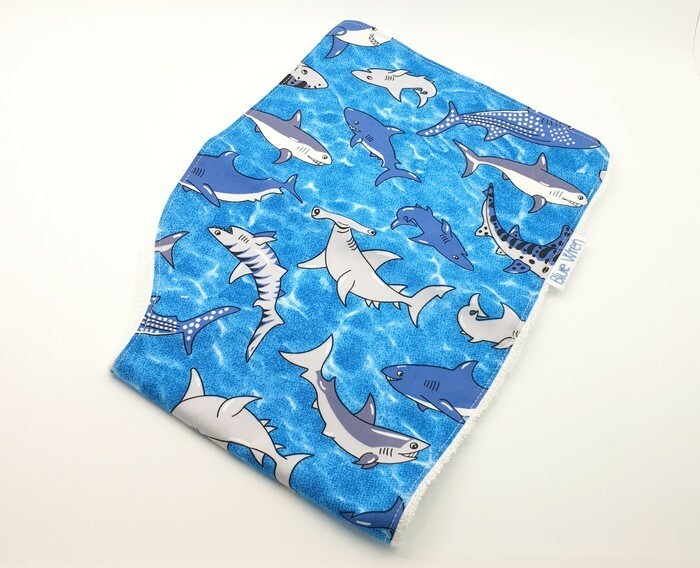 The burp cloth measures approximately 53cm (21 inches) long, and 19cm (7.5 inches) wide, and is perfect for protecting your clothing while burping baby, because burping baby can be messy. They have a curved shape where you position it to fit to your neck, for comfort while burping baby. Both are Top Stitched for durability and appeal. This cute little bib and burp cloth make a really unique gift, and will be a treat to receive. If you would like this gift set sent directly to baby's address, please let me know, and I will gift wrap and attach a little gift card with your message, at no extra charge. Wash before use, cold machine wash, but do not use bleach. Dry in the shade. You could iron with a warm iron if you wish. DO NOT iron over the snaps. Never leave on baby unattended. ALWAYS take the BIB OFF BABY WHEN PUTTING BABY TO BED. Fabric pattern placement may vary on bibs, but will still be placed attractively. The colour may be slightly different as in the photo, due to the uploading of the digital picture. 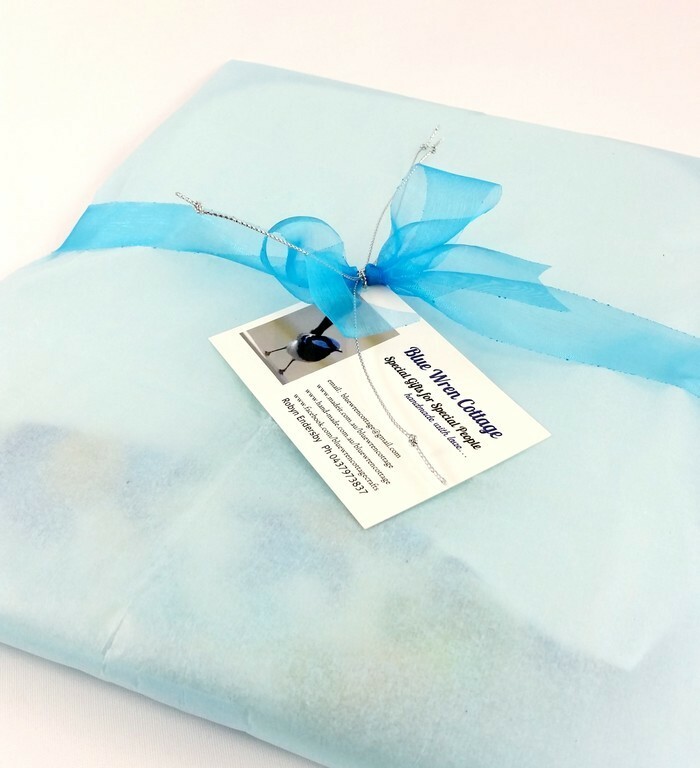 Take a few minutes to look through my Blue Wren Cottage store, where you will find other gorgeous Australian Handmade treasures. For further information, please refer to my store policies, or contact me. Preferred payment by PayPal. Items will be shipped via Australia Post, after payment has been received.